A High-quality heavy-weight Airsoft BB, ideal for snipers. The quality is comparable to the Blaster brand BB’s, but in a convenient dispenser bottle. 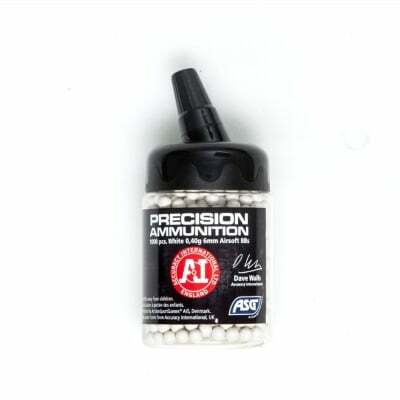 These BB’s comes sorted from the manufacturer to guarantee consistent size and shape ensuring long-range accuracy.